True Clean Experience was established in 2013 and has since gone on to become a leader in home and business cleaning services. True Clean Experience is a superior cleaning service. 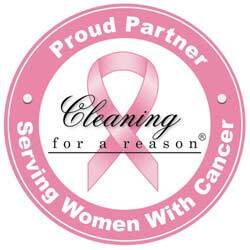 We are providing company cleaning services, offering private cleaning services, and whole house cleaning solutions. We are a full service residential and commercial cleaning company serving Greensboro, North Carolina and surrounding areas. It is the goal of all staff to deliver home and commercial office cleaning services that are valuable, reliable and hassle-free. Locally owned and operated, many are shocked that we are not a cleaning franchise but can handle your homes and buildings as such. We will save you time and energy by allowing experienced cleaners to maintain your interior spaces with our cleaning services. 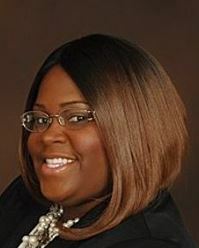 True Clean Experience was founded by Tanisha Pridgen, a United States Army Veteran possessing well-over 5 years experience and expertise in the professional cleaning industry. Tanisha is passionate about whole house cleaning as well as local commercial cleaning services with the goal of transforming the interiors of homes and offices. Maid service is something near and dear to her heart as she helps busy families that no longer have the time or the desire to do all the cleaning by themselves. As a dedicated wife and mother of 3 children, her inspiration behind True Clean Experience was to assist people in reclaiming their lives and to have the time and peace of mind to focus on things they enjoy most, and allow her and her team to focus on the cleaning. Tanisha has set out to combine her military knowledge, experience, and strict core values with her unique abilities and passion to create beautifully, fragrant and clean spaces for homes and business. Your time is important. Spend more of it with your family. Let us take cleaning off your to-do list so you can focus on your life goals. Simply create a flexible schedule for whole house cleaning services you can trust, and we will get it handled for you. Come home to a fresh-smelling, clean space so that you can relax and enjoy time away from work. Customize your home cleaning schedule to fit your needs. We provide the best low maintenance cleaning services for working professionals. Whether you are looking to have an office, large facility, Church or Gym cleaned we are the people for you. We can clean anything from the smallest office to the largest facility. We are recognized as the cleaning service with a specialized military approach to get the job done the right way the first time around.